She was in so much pain, but she wanted to make sure they were safe. 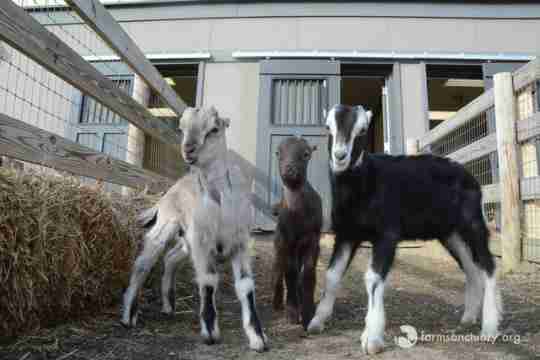 A little family of goats probably would have died if people didn't go out of their way to save their lives - and that's just what Susie Coston, national shelter director of Farm Sanctuary, did when she got a text from a friend in February about three 2-day-old baby goats who were terribly sick on a farm in New Jersey. "Grab them," Coston texted back to Vyolet Savage. And Savage rushed to the farm. "She picked up the three kids (all boys), and met mom," Coston said. "Thankfully, Vyolet was able to convince the farm to relinquish mom as well, because although she did not look sick, she was masking something that was the reason the babies were not thriving." 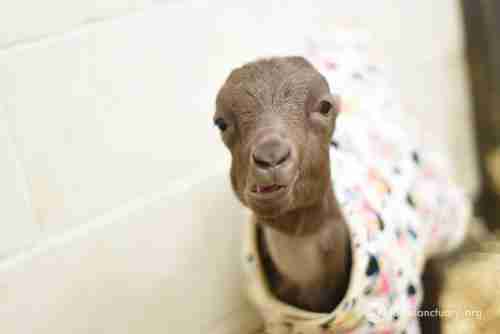 Tilda, the mother goat, didn't show it at first, but she was actually in terrible pain. At the University of Pennsylvania School of Veterinary Medicine's New Bolton Center, where the whole family was getting emergency care, veterinarians discovered that Tilda had a nasty virus and her teats, full of milk for her newborn sons, were blocked and inflamed. Even despite her pain, Tilda was visibly worried about her babies, Thomas, Duncan and Tove. "Mom's adrenaline was up and she was in high protective mode for her kids - very concerned," Coston said. 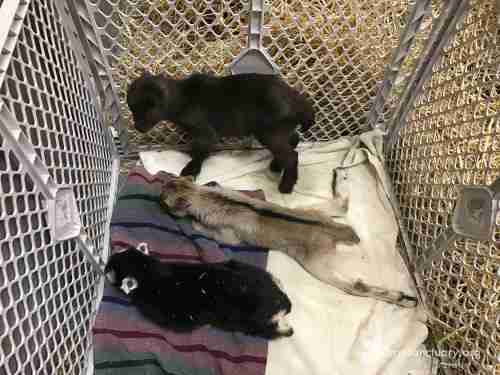 The baby goats were suffering from "failure of passive transfer," or FPT, which is caused by not getting enough colostrum from their mom during nursing. 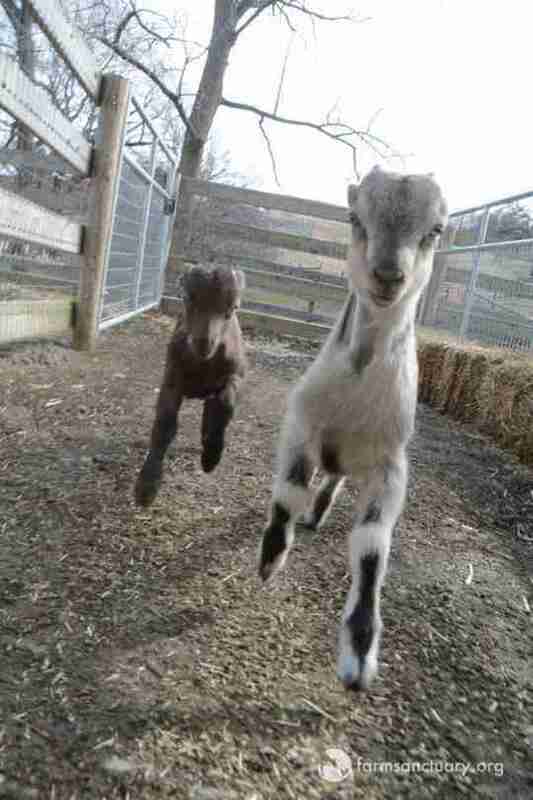 Colostrum is full of important antibodies that help baby goats fight infection. 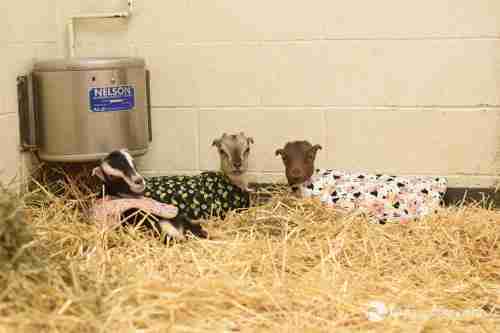 The baby goats kept trying to nurse from Tilda, but she was in such pain, they had to be separated from her and bottle-fed to give her a chance to recover. 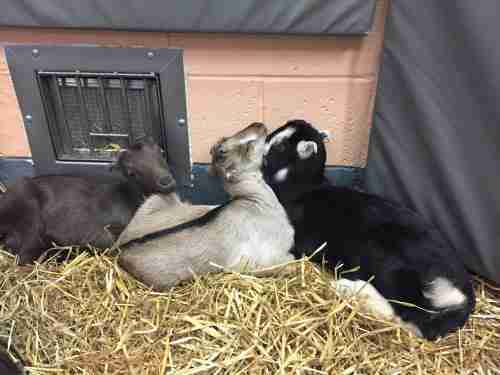 "Thankfully the babies, having each other, did not panic - but also sick, they slept in their little goat pile and attempted to recover," Coston said. But like any mom worried about her babies, Tilda had forgotten about her own pain until she was left alone. "Once the babies were clearly safe, mom crashed," Coston said. The babies showed strength and quickly began to recover. 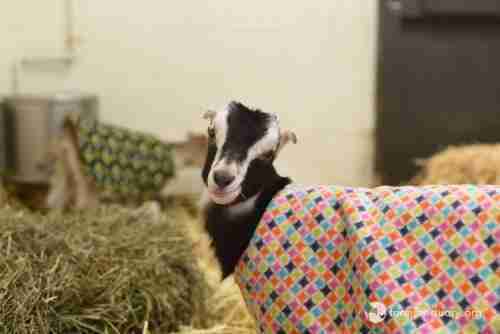 When they were ready, they were given little colorful coats and brought to their new forever home, Farm Sanctuary's upstate New York location. But Tilda needed a bit more time to recover. This week she had surgery at Cornell University's Nemo Farm Animal Hospital to remove her udders entirely, to fully rid her body of infection. "She is stable and recovering," Meredith Turner-Smith, spokesperson for Farm Sanctuary, told The Dodo on Tuesday. "And will come home tomorrow!" The whole family will soon be reunited and live happily together at the sanctuary - all thanks to a quick text and the willingness to help. 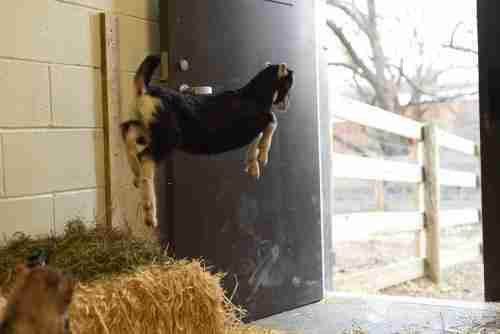 To help all the lucky animals saved by Farm Sanctuary, you can make a donation.